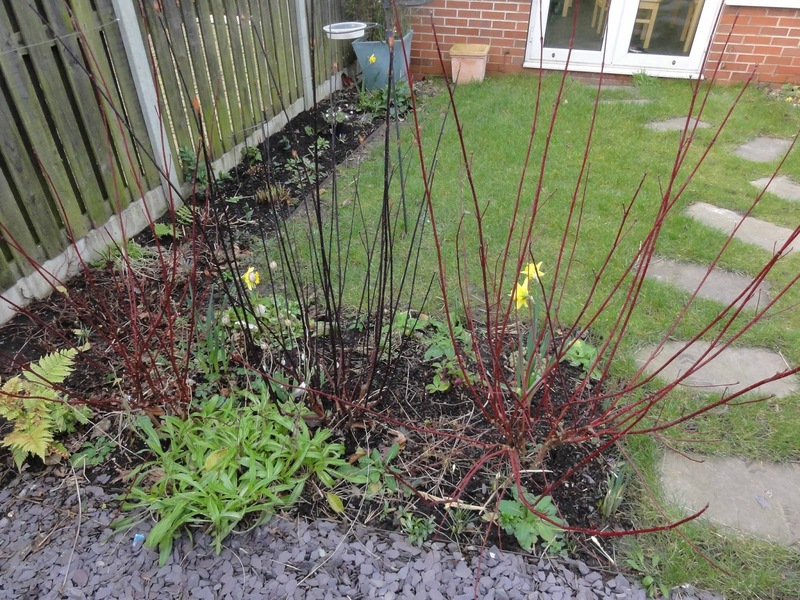 I am making a gentle start to the gardening year with pruning my Cornus (dogwood). 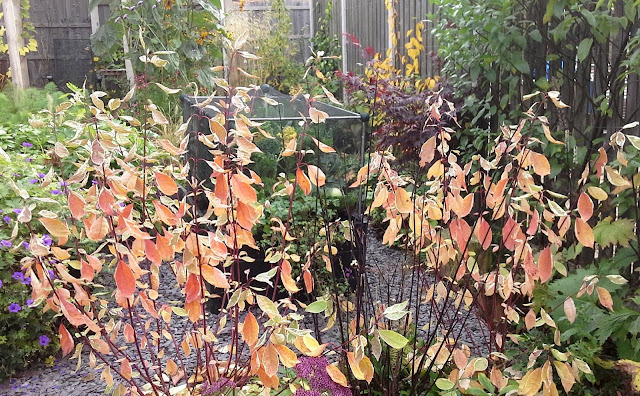 Noticing yesterday that the new leaves on my Cornus was already unfurling, I realised that it was time for me to prune the shrubs back so that I would be able to enjoy the colours (above) next winter. For those not in the know, Cornus is often planted for it's beautifully coloured stems which are a highlight of winter in the garden. You only get the coloured stems on new growth, so an end of winter prune is necessary to continue to get the colourful stems year after year. Being stricter with pacing is important when gardening with ME, and you should stop when you are still feeling good, else you risk just making yourself worse. This is known as post-exertional malaise, and you get pay back in exhaustion and pain way out of proportion compared to the task (exertion) you undertook. I stopped after that I finished pruning, not pushing myself to do more. So I'm pleased with the pruning and my pacing. Today just happened to coincide with me feeling up to a little gardening, when the sun also happened to be out. A simple pruning task was a nice way to gently get me/ME into the gardening year. I welcome your thoughts and comments. And if you blog about gardening with ME/a chronic illness, do link to this post in your blog and leave a comment below with a link to your post, so we can all find each other. I'm another big fan of Dogwoods. Looks like you have one of the Cornus Alba "Kesselringii" ones, with the very dark, almost black, stems? I'll be pruning mine even more severely than you have done yours, but I think I'll leave it another couple of weeks because there is no sign of buds opening on mine just yet. Yes, it is a Kesselringii. I pruned mine severely the first year, and am now trying to prune for shape and increasing stems. You don't need to wait for the buds to open to prune. In fact I usually prune before the buds open, only this year they are early! I can't believe you have signs of life already Julieanne. The Cornus are usually last to leaf up here. I've not pruned my Cornus this last couple of year because I want some height and may leave them this year too. I can see why it is recommended to stop while you still feel good when coping with ME - it makes perfect sense. I am glad too that the sun decided to join you. 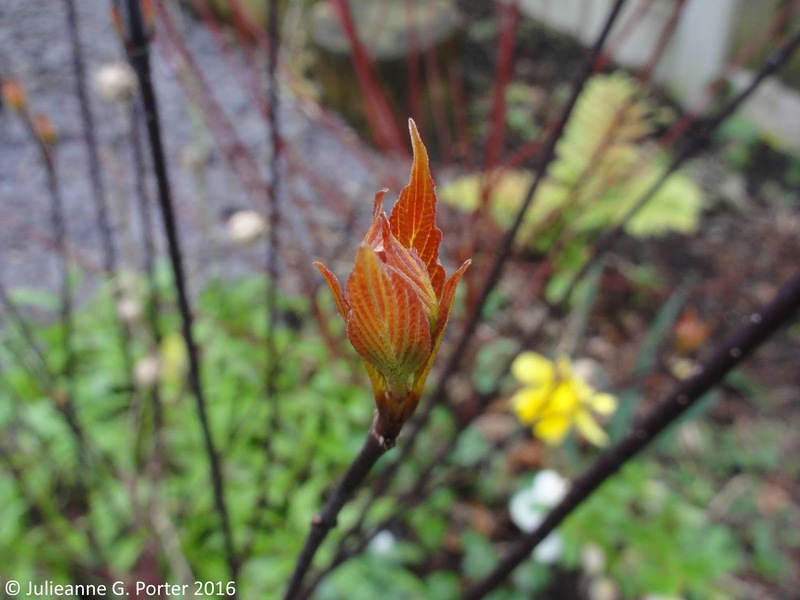 The buds were starting to open on my dogwoods too, so I pruned them back last week. I love this task as it always makes me think spring is just around the corner. This year I've also tried moving a couple around the garden to get winter colour in some different areas. 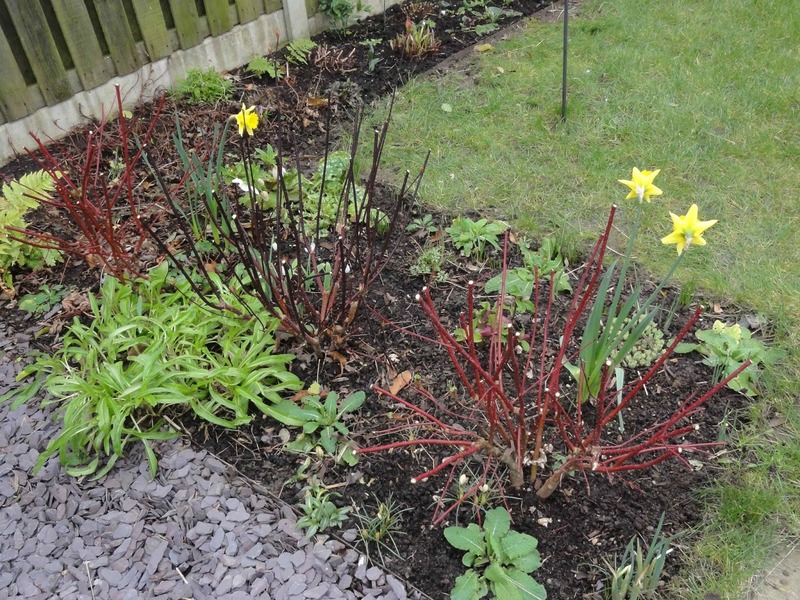 I love the dark stems on your 'Kesselringii' – mine are Cornus alba 'Sibirica', more of a crimson.